Sean Yeap has been talking about converting his old mountain bike into a fixed-gear bike for a while now. Two weeks ago, he got it done. Here are some photos of the bike. 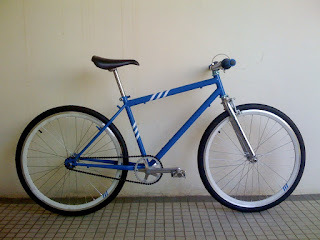 On a RM500 budget, he managed to put together this really cool looking bike. Salute! I wonder how it will ride like. 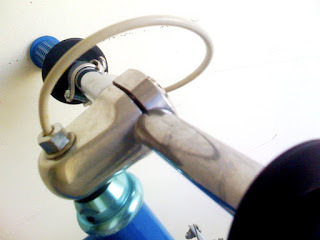 The last time I rode a fixed-gear bike was way back in 1970s. 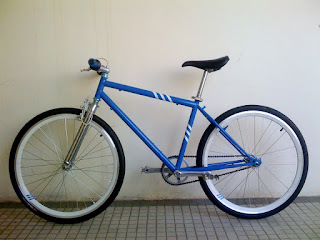 I remembered I borrowed someone dad's fixed gear bike and struggled with it... LOL. To put it very simply, it is a bike with pedals that will always move or rotate in the direction you are going... forward or backward. 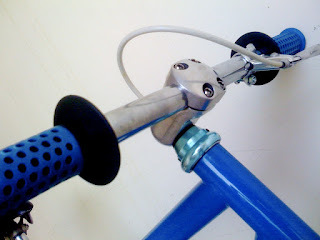 Depending on your preference, you can choose to install a brake or use the pedals or tires for braking. 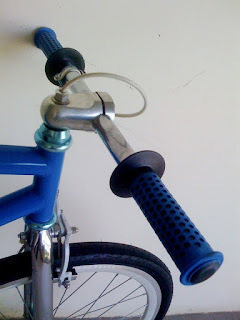 For a full history of fixed-gear bike, go here. BikeTrials on a Fixed-gear Bike? Here is a video of Chris Akrigg (a very famous biketrial rider, famous for his brake-less biketrials... :-) riding a Mongoose Maurice fixed-gear for the first time. http://www.myfixedgear.net/ - Photos of fixed-gear bikes from all over the world posted up by riders. 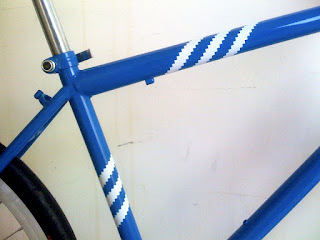 http://www.fixedgearrepublic.com/ - Very popular fixed-gear social network.